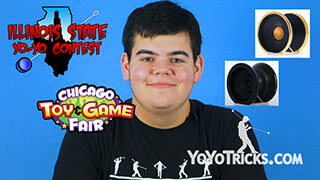 Stay up to date with the latest yoyo news from YoYoTricks.com, this week Jerry Seinfeld talks about yoyos, Jake introduces the new iYoyo iCEBERG yoyo coming soon, and Chris announces the next Instagram contest. 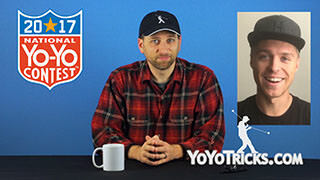 The Weekly Yoyo Update Where We Hit an Iceberg – 9-27-17 Yoyo TrickWelcome back to another Weekly Yoyo Update, I’m Adam Bottiglia. This week’s top story involves the legendary comedian Jerry Seinfeld. 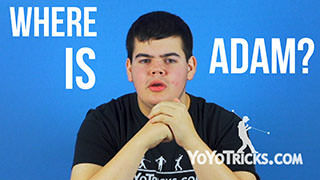 In a recently released special on Netflix, he had this to say about yoyoing in his childhood. 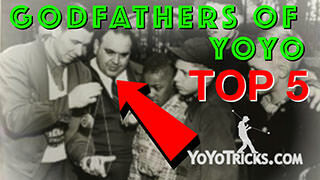 While Jerry Seinfeld did fall prey to the popular misconception that yoyos were originally used as weapons, a misconception deliberately spread by early Duncan promoters to make yoyos seem more interesting, as they needed any help being interesting, the entire special of “Jerry Before Seinfeld” is quite good if you are a fan of Mr. Seinfeld. 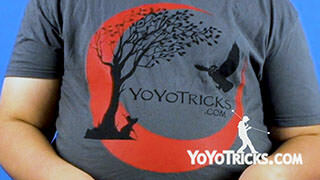 In other news, the iOS app for YoYoTricks.com recently got a nice update, and, it had nothing to do with us. If you go ahead and update your iOS device to iOS11, you will notice brand new skip forward and back 15 second buttons that will allow you to see trick a whole lot easier if you need to replay them in order to learn your tricks. That is a nice feature. 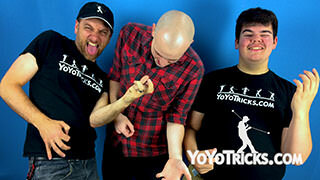 This Friday marks the conclusion of Gentry Stein’s tutorial series, How to Become a Yoyo Champion. 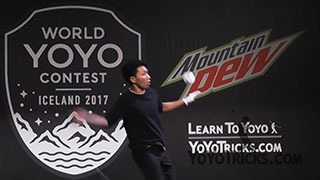 If you are at all interested in competing, we definitely recommend you check that series out. 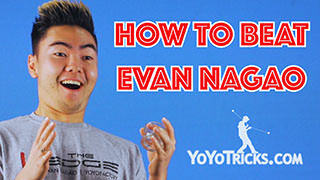 But, this Friday’s video forms the capstone, How to Become a Sponsored Player. 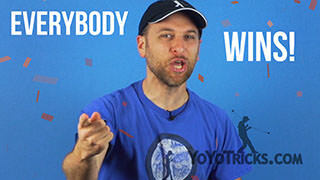 This is a question we know has been on a lot of your minds, and Gentry gets into the relationship between players and companies, and how sponsorship really works from the inside. 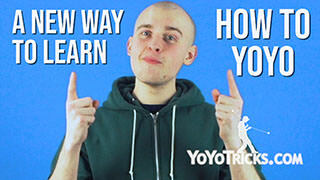 He gives you all the tips that you need to know to impress those companies so that you too can get that golden ticket. 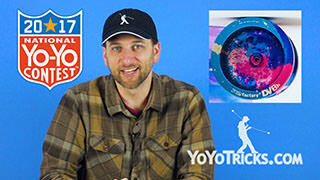 Now we turn to our yoyo forecaster Jake Elliott, who I believe has a new yoyo in store this week. Jake, what’s in the forecast? 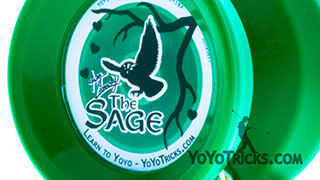 Next week we’re expecting a cold wind to blow in from the north east carrying with it the iYoyo iCEBERG. 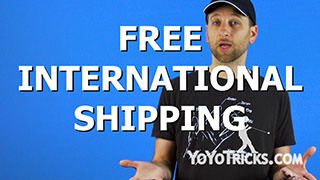 That’s right, next Tuesday on October 3rd, German Unity Day, the iYoyo iCEBERG is hitting the YoYoTricks.com store. 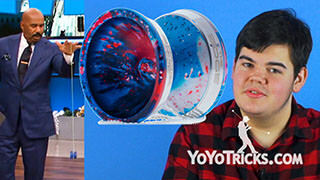 The iCEBERG is a yoyo like no other. 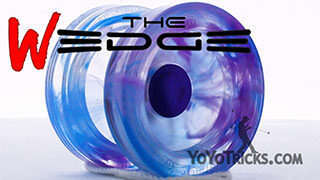 With a super light and durable machined and frosted polycarbonate body and THICC stainless steel rims, the iCEBERG is lighter, more powerful, grinds better, and is nearly half the cost of the Steel, which has long been one of our favorite bi-metal yoyos. 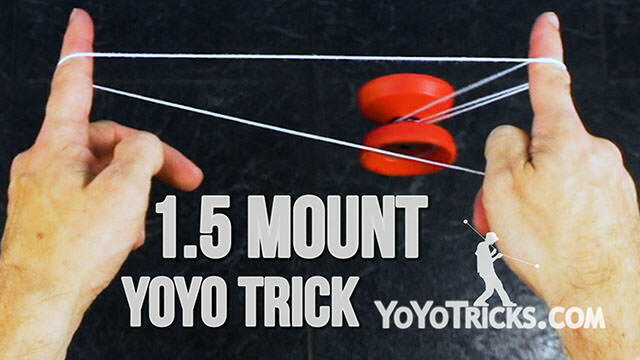 An aluminum finger spin dimple makes long finger spins even easier to hit. 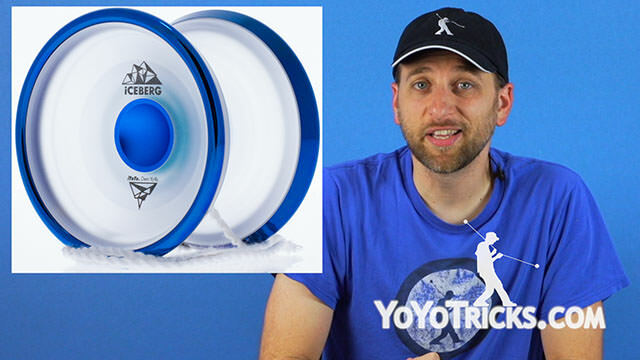 The iCEBERG might be a little different from what you’re used to, but with its machined plastic construction, it offers distinct advantages over conventional aluminum yoyos. Unlike the Titanic, this is one iceberg you defninitely don’t want to miss. Adam: Thank you Jake. Now we turn to Chris a.k.a. “Kendama-Craig” Chunn for this week’s contest. Chris? Chris: Thanks Adam. Congrats to the winner of last week’s Instagram contest. Blahmin? Congrats to you buddy. Check your instagram DMs to claim your prize. As always, we will be showing some of our favorite entires at the end of this broadcast. For next week’s contest, we want to see your best combo using the one and half mount. Now, if all you can do is the one and half mount, that it totally fine, but remember, longer and more interesting combos score more points. 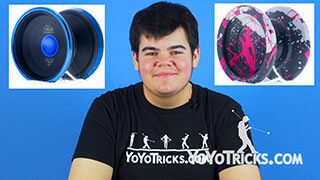 For this week’s contest, we want you to use the hashtag #YoTricksContest15 Go check out yoyotricks.com/instacontest/ for the full list of official rules. 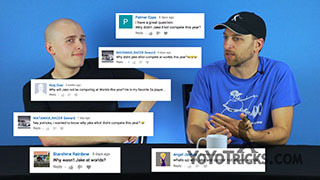 That is all we have for you on contests this week, folks. 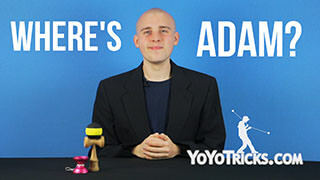 Back to you Adam. Adam: Thank you Chris. 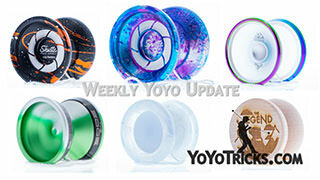 Well, that is all we have for you for this week’s Weekly Yoyo Update. So until next time, don’t forget, “the Bigger they are, the harder they spin.” We’ll see you next time.